Lt. Gov. 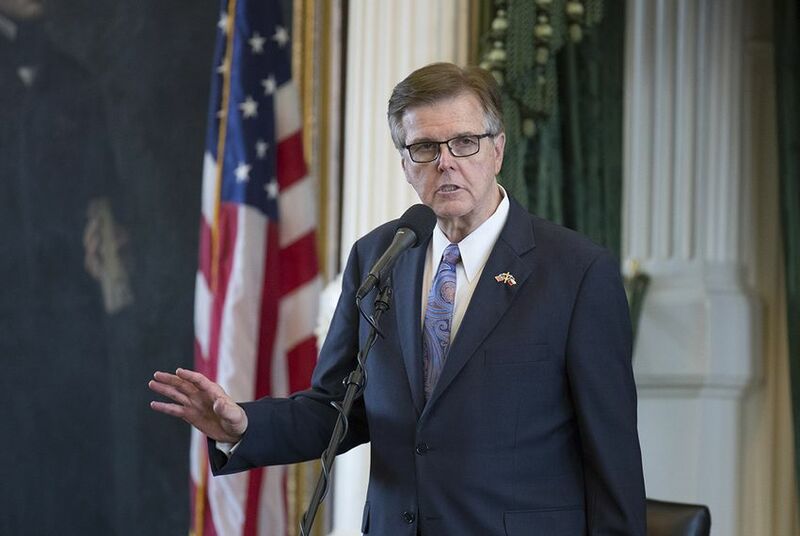 Dan Patrick blames city governments for "all our problems in America"
On television Friday, Lt. Gov. Dan Patrick chided Democratic city governments for causing problems nationwide. City governments, particularly those led by Democrats, are to blame for problems nationwide, Texas Lt. Gov. Dan Patrick said during a nationally televised interview Friday. "People are happy with their governments at their state level, they're not with the city," said Patrick, a Republican, in an interview with Fox Business Network. He was responding to a question about gubernatorial races. "Our cities are still controlled by Democrats," he added. "And where do we have all our problems in America? Not at the state level run by Republicans, but in our cities that are mostly controlled by Democrat mayors and Democrat city council men and women. That's where you see liberal policies. That's where you see high taxes. That's where you see street crime." The comments drew a quick response from mayors in Texas. In a message posted to Twitter, Austin Mayor Steve Adler responded, "If it's wrong to have lower jobless and crime rates than Texas as a whole, I don't want to be right. Certainly not that far right." Patrick's remarks came halfway through a special legislative session in which lawmakers have repeatedly taken aim at local governments. Gov. Greg Abbott, a Republican, has proposed to lawmakers a long list of ideas related to how cities and counties set budgets, regulate land use and approve construction projects. Some of the most controversial bills now making their way through the Legislature would require a local election to approve property tax rate increases over a certain percentage and legislation that would regulate which bathrooms transgender people can use. Current versions of the bathroom proposal would preempt parts of local nondiscrimination ordinances that include protections for transgender people. Many city officials have criticized the Legislature’s efforts, saying city governments need freedom and flexibility to govern. "We are closer to our residents than the state is or the federal government, so we know what is best for our community because we are responsible for our community,” said El Paso Mayor Dee Margo, a Republican. “Not only is El Paso the largest U.S. city on the Mexican border, we’re also ranked as the safest city in the nation." Mayors from two of the state's six biggest cities are Republican: Margo, plus Betsy Price of Fort Worth. But "the fact that city elections are nonpartisan is one of the greatest things about city government,” said Bennett Sandlin, executive director of the Texas Municipal League. "We like to say that potholes aren’t Democratic or Republican... it costs the same amount regardless of ideology." Disclosure: Steve Adler, a former Texas Tribune board chairman, the Texas Municipal League and Dee Margo have been financial supporters of the Tribune. A complete list of Tribune donors and sponsors can be viewed here. Radio made Dan Patrick powerful in Texas. And it's helping him stay that way.